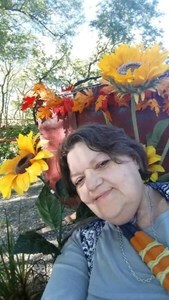 Hattie Mae Davis, 56, of Junction City, passed away on March 5, 2019. The family has chosen cremation. Hattie was born on June 8, 1962, Medford, Oregon to Thomas and Margaret (Curry) Johnson. She was a member of First Baptist Church in Manhattan, KS. Hattie was a wife, mother, and grandmother. She was a registered nurse who loved her job and helping others. Some of Hattie’s favorite things to do were journaling and crocheting anything she could for her family and loved ones. She was all about family and taking care of others, even those who were not her own. Hattie married the love of her life, Jackie D. Davis on May 1, 1982. She brought her children Aaron M. Davis into the world December 22, 1982 and her triplet daughters; Trista M. (Davis) Pickard, Nichole L. (Davis) Fortner, and Jackie D. Davis into the world January 16, 1984. Hattie is survived by; her husband, Jack D. Davis of the home; son Aaron M. Davis of Ft. Lee VA; three daughters, Trista M. Pickard of Junction City KS, Nichole L. Fortner of Ft. Bragg NC, and Jackie D. Davis of Ambridge PA; Son, Justin Lanning Davis of Ft. Lee VA; three son-in laws Clifford Fortner, Asa Pickard, and Larry Gizienski; one daughter-in-law Hayley Davis; thirteen grandchildren; three sisters, Lola Johnson, Margaret (Johnson) Wilson, and Tommie Jo Lanning; one brother, Walter Johnson; and many other Family and Friends. She was preceded in death by her parents; Thomas and Margaret (Curry) Johnson; sisters, Cerleane (Johnson) Stewart and Mary Rasmussun; and grandson; Jamison M. Davis. Memorial Services will be held 2:00 PM, Saturday, March 16, 2019 at the First Baptist Church of Manhattan, 2121 Blue Hills Rd, Manhattan, KS 66502, with Pastor John Parsley officiating. Mass-Hinitt Funeral Chapel, of Junction City, has been entrusted with her care. Add your memories to the guest book of Hattie Davis. Hattie was a sister to me. Our kids grew up together. We shared houses at times and enjoyed doing things together. I met Hattie and Jack when my son Tony was just a baby. I truly loved your momma. When I graduated from nursing school, she was the first to say "welcome to the family," and I took that with me. She was such an encourager and she did it in a way that was so loving. Although you won't be able to see her now, she's with you. Each one of you have special memories and stories that you carry. Hold on to those until that day comes that we are ALL together around Jesus's throne, singing His praises. She has her voice back and I bet she's singing her heart out now. Love you all. Hattie was my sister and my friend. She was my nemesis and my guardian angel. Although I know that she is with Christ now and no longer suffering, the loss of her is beyond expression. I love you sis. Jack & family, I am so sorry for ur loss. We had a lot of good times. I will always remember Hattie with love. I love u guys.